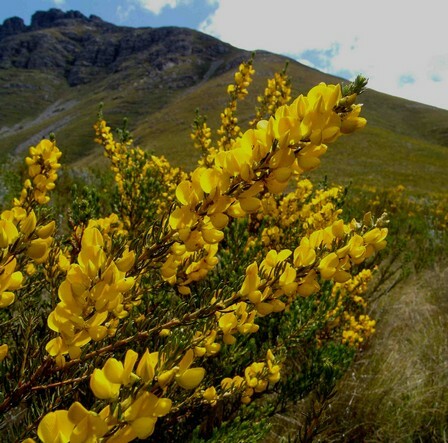 EOO 219 km², plants at four known locations are declining due to honey bush tea harvesting and altered fire regimes. Montane fynbos on shale bands in loamy rocky soil, 1 000-1 700 m.
Severely threatened by harvesting for honey bush tea. No regrowth has been observed in severely harvested individuals in the Kammanassie Mountains. This reseeding species is also affected by altered fire regimes and is likely to decline if fire return cycles are too frequent.